Listen, scientists. I appreciate what you do, and boy I sure do love that evidence-based pursuit of knowledge, but did you have to make mutant wasps? Did you? 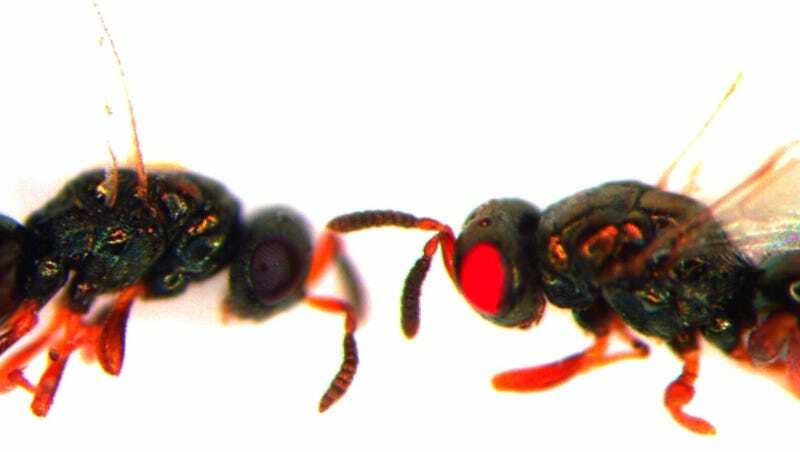 The Nasonia vitripennis wasps’ genomes happen to be one of the most studied of the order of insects that includes wasps, bees and ants, since they’re super easy to breed and play around with in the lab. But as a new paper points out, no one’s successfully messed around with these wasps’ DNA yet. So, why not be the first, the team of scientists from UC Riverside and Claremont McKenna probably said while engineering the wasps’ eyes to be bright red. The horrible process perfectly complemented N. vitripennis’ horrible lifecycle: After the males and females mate, the female looks for a fly pupae to inject with her eggs, because this is a bug that uses another species’ children’s corpses as an external uterus. The scientists allowed their subjects to deposit some eggs inside some pupae, then took the fly sarcophagi, removed the eggs, and injected the future wasps with the custom gene as part of the CRISPR/Cas-9 system, the popular and easy-to-use tool that’s essentially scissors and a glue stick for DNA. The scientists returned the eggs to the pupae, and after just 19 days—bam! Mutant wasp babies. The change worked, and the normally black-eyed wasps now had bright red eyes, according to the research published today in the journal Scientific Reports. The wasps look pretty cool, to be honest, but man oh man do I hate wasps. Mutations like these happen to be heritable, which would conceivably allow scientists to create stocks of mutant wasps should they require lots of them. That’s nice, but the researchers do point out some drawbacks: Some of the CRISPR/Cas9 components were lethal to wasps, so there was a sort of trade off where more successful gene editing meant fewer wasps and vice versa. Plus, while this mutation worked well, editing other genes might kill the wasps (or worse). Now, the researchers say this is one of the first times scientists have done a mutation like this in the Hymenoptera order (the one that includes bees, wasps and ants). It’s not the first time, though—Japanese researchers have previously used CRISPR to edit honeybee genomes. But ultimately, since the N. vitripennis wasp has become such a useful lab animal, making the most popular gene editing tool work alongside it is incredibly useful for the slew of further experiments you might want to do to them. 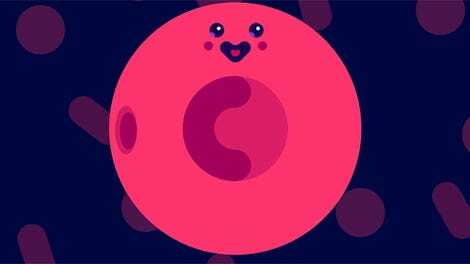 It might also help the researchers understand the bugs’ equally strange method of procreating—unfertilized eggs become males, while fertilized eggs become females with twice the number of chromosomes. Cool, great, science, woo. Ok, phew. Wasps are. So. Scary. And now they somehow got even scarier. Should We Deliberately Edit The Genes Of Wild Animals?